Perdido Towers in Perdido Key on the Florida Gulf Coast is located between the Perdido Key State Park and Orange Beach Alabama, one of the least crowded areas of beautiful, unspoiled sugar-white beaches. With Perdido Towers only having 68 units, you will have ample room to enjoy 400 feet of private uncrowded, beachfront. The beaches in Perdido Key Florida are as beautiful as any in the world, the convenient location of Perdido Towers make the condominium one of the most desired on the Gulf Coast..
Perdido Towers also owns property across the key to Old River, providing access to boat docks and a boat launch, and scenic views of beautiful Ono Island. Amenities at Perdido Towers include a fishing pier, tennis / racquetball area, outdoor pool and a fitness room. Perdido Towers features two and three bedroom condos ranging in size from just over 1,000 s.f. to over 1,800 s.f.. For a vacation home located on uncrowded beaches yet convenient to dining, entertainment, golf, deep-sea fishing, etc. 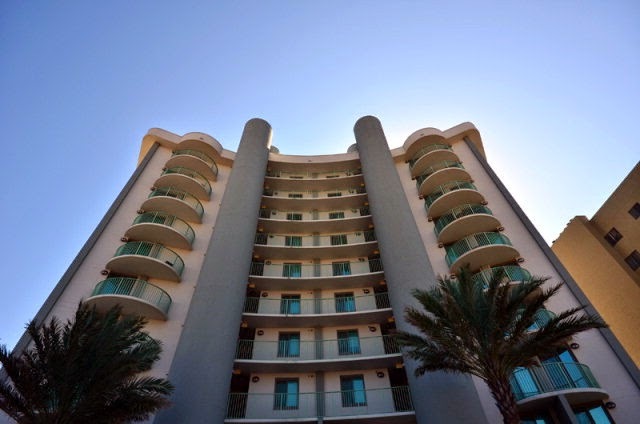 - put Perdido Towers in Perdido Key Florida on your must see list!